Auto giant Volkswagen said Wednesday it would pay a one-billion-euro ($1.2 billion) fine imposed by German prosecutors over its diesel emissions cheating. The German car giant said it had "accepted the fine" and would not lodge an appeal. 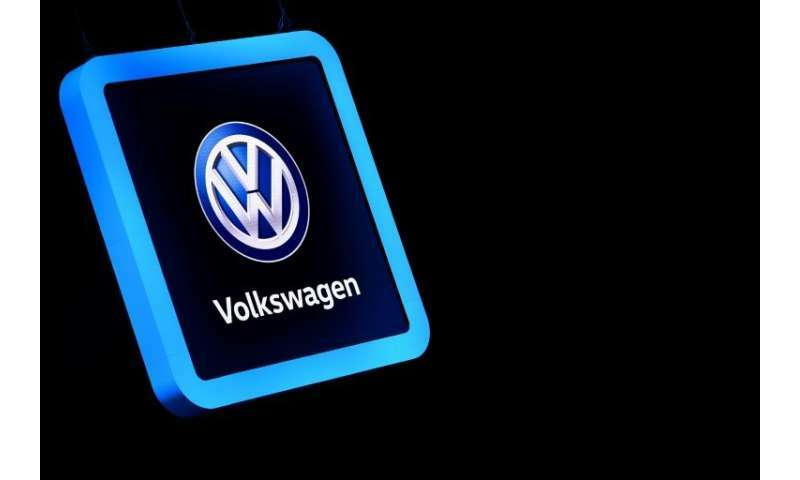 "Volkswagen AG, by doing so, admits its responsibility for the diesel crisis and considers this as a further major step towards the latter being overcome." The mammoth carmaker admitted in 2015 to fitting 11 million vehicles worldwide with "defeat devices"—software designed to trick regulators into thinking cars met emissions standards. VW said in its statement that prosecutors had found that "monitoring duties had been breached ... in the context of vehicle tests". This had led to 10.7 million cars "being advertised, sold to customers and placed on the market with an impermissible software function" in the US, Canada and worldwide between mid-2007 and 2015, the company said.